In late January, Kunming was hit with three days of below-freezing weather. 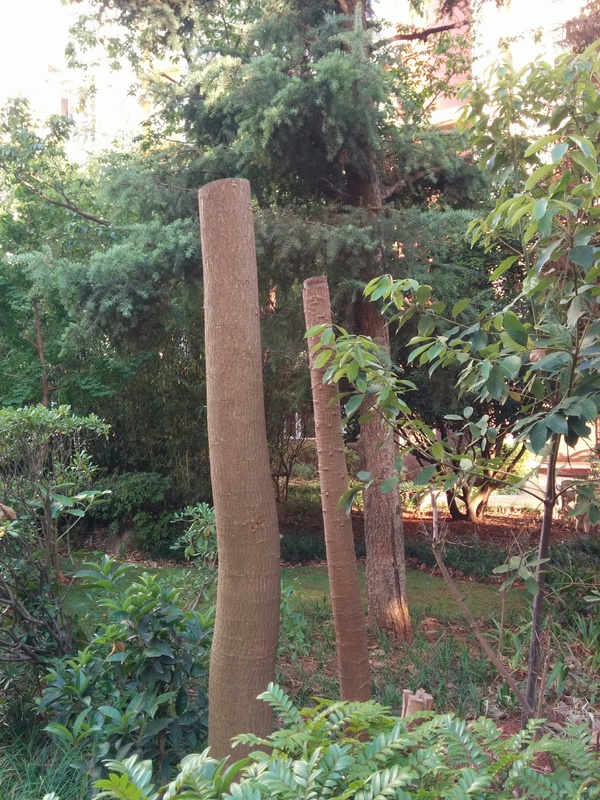 While it’s not unusual for Kunming to get some snow every few years, the fact that temperatures remained below freezing for so long was devastating to much of the plant life in the city. I wrote about how bad it was – including our xiao qu smelling a bit like rotten lettuce – in this post. Now it’s May, and we’re still seeing the aftermath of the freeze. According to my local friends, Kunming is normally covered in non-stop blooms in the spring. This year? Not so much. Too much died off during the freeze. While many plants are recovering and doing their best to put out new growth, their new green leaves and flowers don’t completely mask all the dead plants around them. Amazingly, work crews are still slowly laboring through a backlog of dead trees and plants to remove. All over town we are still seeing them busy with ladders, chainsaws, and the like. 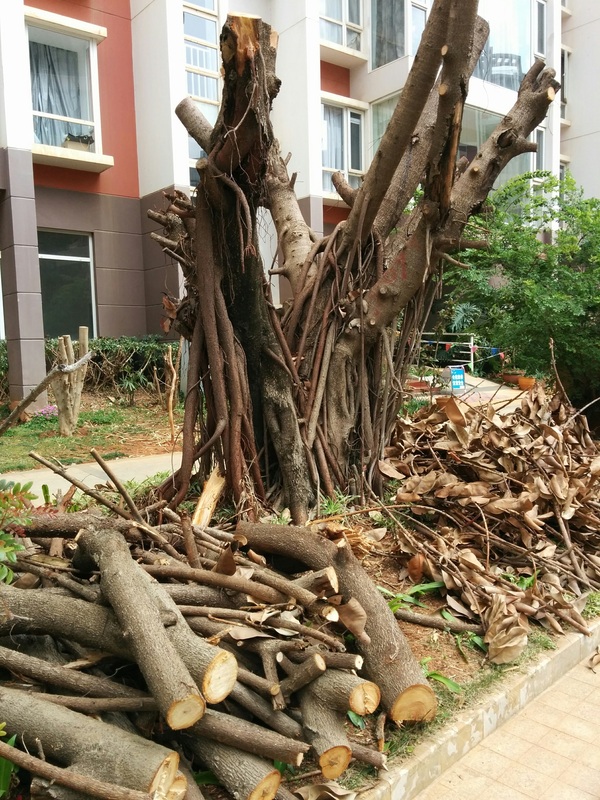 Everywhere we’ve been—parks, apartment complexes, public roadways, shopping areas, everywhere–has significant differences now that so many trees have been lopped or felled. 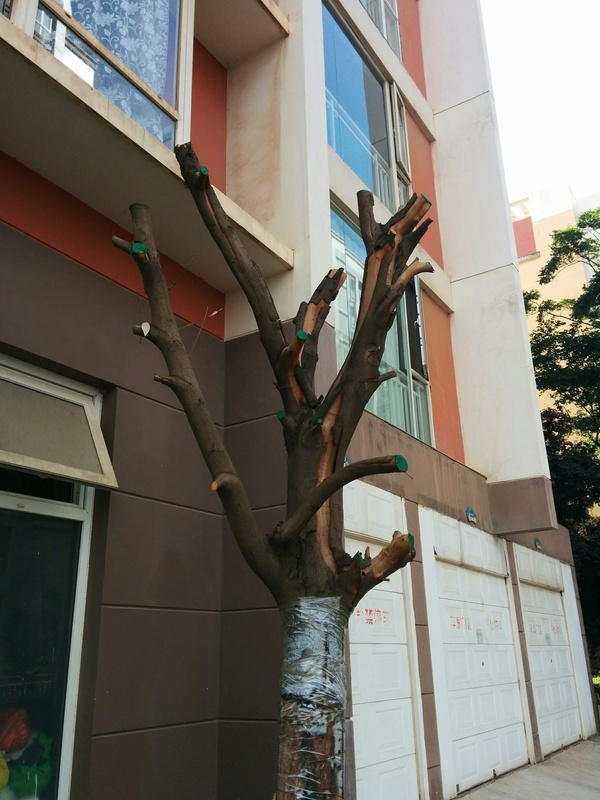 Some of my local friends are talking about how the loss of trees is likely going to affect Kunming’s climate for the next decade or two. That is how big of a thing this was. Another friend mentioned that there might be something shady about this (no pun intended). 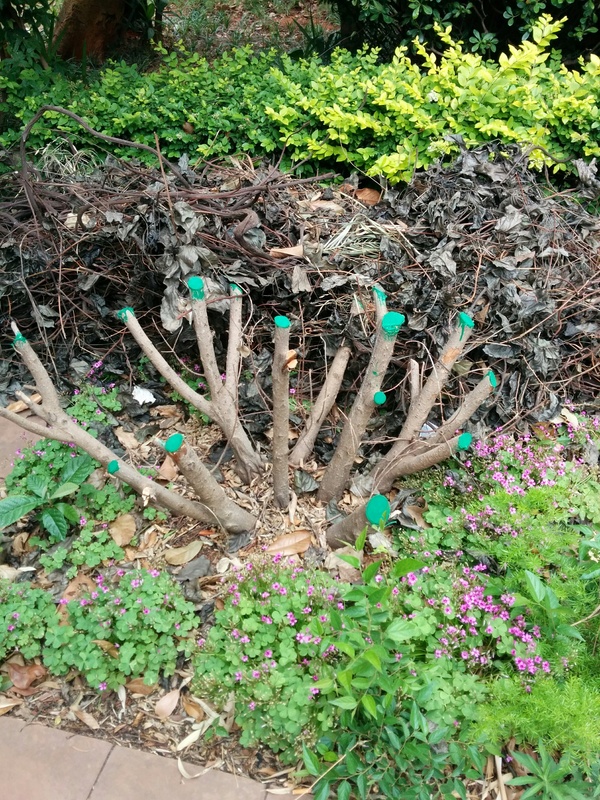 Are they cutting down trees that are still alive? Is someone’s cousin about to make a boatload of money selling firewood, which is quite scarce in this region but still necessary for heating some homes? All you conspiracy theorists out there can discuss how likely that scenario is. 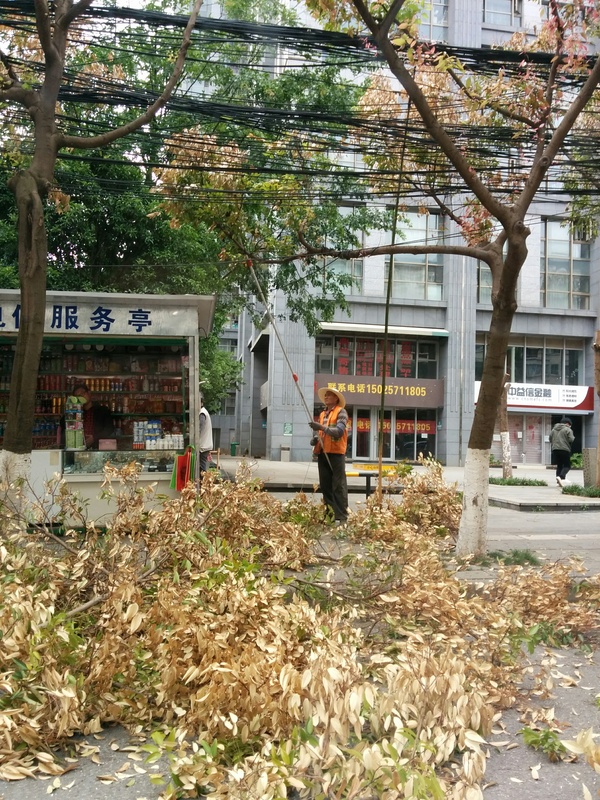 Most of the time, I do think they’re simply trying to remove the massively damaged/dead branches from trees. 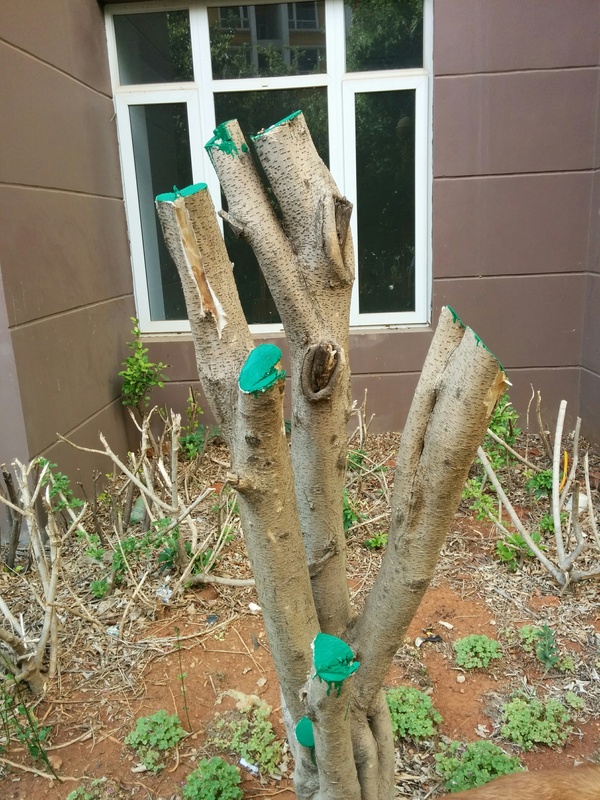 Unfortunately, they seem to have a haphazard way of cutting branches off that is not the best for the trees. Or sometimes, they even decide to go ahead and cut the whole tree off of the trees. Who? What? When? Where? How? and sometimes WHY? I am very tempted to translate the following brochure into Mandarin and post it on all the sad stumps around town. 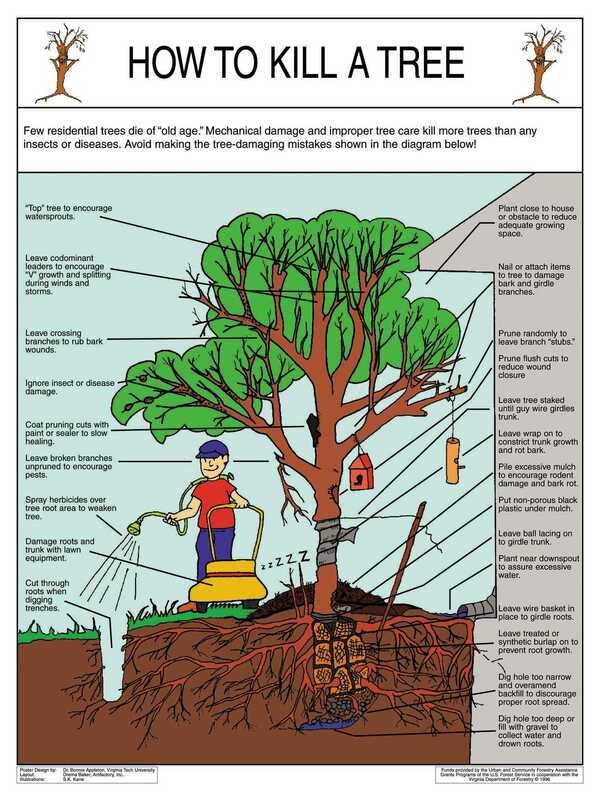 I would probably need to include a note explaining that it is all the things you should NOT do unless you are trying to kill the tree. Americans seem much quicker at recognizing sarcasm than their Chinese counterparts. I can’t imagine why. I’m glad the freeze didn’t kill all the foliage. 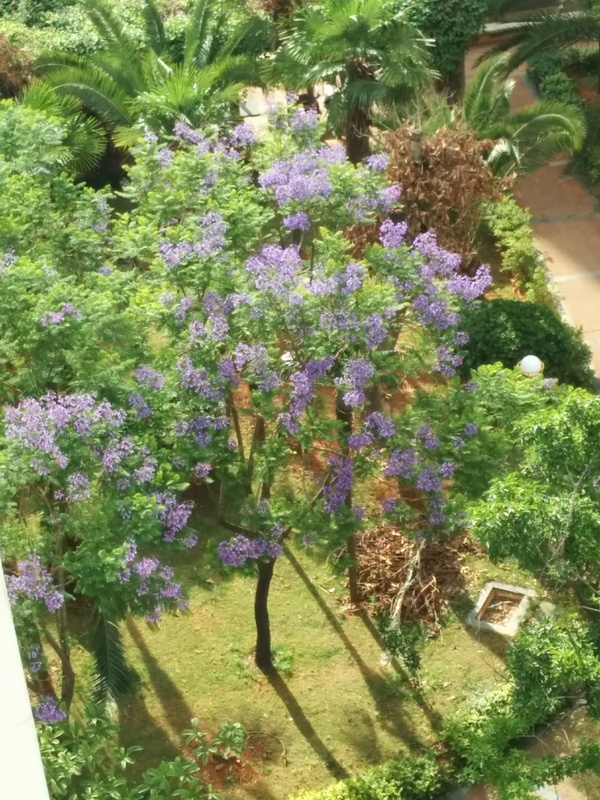 We still have some beautiful trees like the jacarandas and gingkos that survived just fine. The jacarandas are currently blooming like nobody’s business, and I’m sure the gingkos will put on their stunning golden performance this fall. In between, we’ll have summer with the intensity of high-altitude sunlight beating down. Rather than walk down the shade of tree-lined paths, I’m sure we’ll be finding relief from the sun in the shades of buildings this year, and perhaps for many years to come.